In May, our customers from Syria had successfully finished their University Exhibition in renewable energy center with our EverExceed deep cycle batteries, solar water pump system, solar home system, etc. This exhibition was one of the professional regional renewable energy in Syria and attracted many local potential customers to visit our Syrian customers’ booth, which would be a great win-win situation for our Syria customers and EverExceed. With EverExceed well-designed product brochures as well as posters, and under the help of our Syrian customers’ professional introduction, EverExceed deep cycle batteries, solar modules, and solar water pump system successfully drew the local customers’ attention and won their trust in EverExceed during this trade show. Those hot renewable energy products are always popular for the local clients. Furthermore, the newly-developed solar water pump system by EverExceed R & D Department also helped increased more local customers to visit our customers’ booth and placed their orders, which approved EverExceed power products’ high quality again. As we all known, Syria has experienced significant growth in demand for electricity in recent years. To help address the growing and changing pattern of demand, Syria has begun to explore its potential for using its renewable energy resources. That’s why EverExceed green, safe and reliable power products would be more and more popular in Syria in the coming years. With the mission to “Supply worldwide reliable power solutions with continuous innovative technologies”, EverExceed is always devoted to providing high-quality service and reliable products for Syria customers as well as customers all over the world. 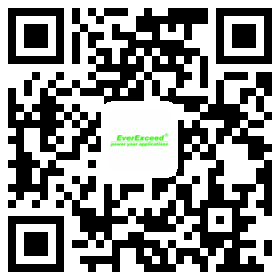 In the following continuously expanded international market, EverExceed will increase more efforts in researching solar energy solution and battery storage solution to supply power for customers around the world.